More than 200 JetBlue passengers were stranded on the tarmac for 7 hours on Saturday. 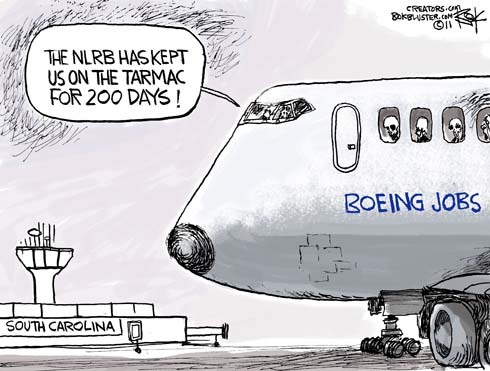 The Boeing plant in South Carolina has been sitting on the tarmac since April. 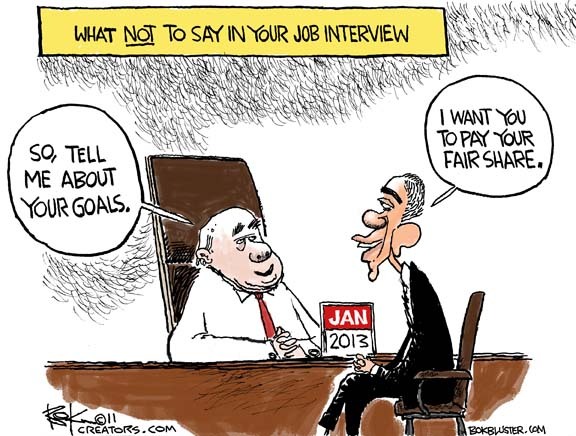 Pelosi thinks it should stay that way until its workers un-decertify their union. The president’s job approval has dropped to 40%. Las Vegas money bag developer, and Democrat, Steve Wynn says this administration is the biggest wet blanket to business and job creation in his lifetime. Even Peggy Noonan got in on the act, saying nobody loves a loser. 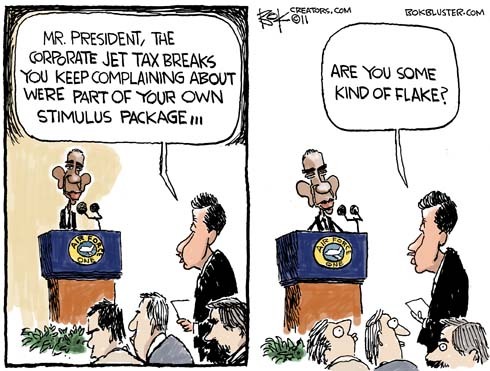 Chris Wallace famously asked Michelle Bachman if she were a “flake”. 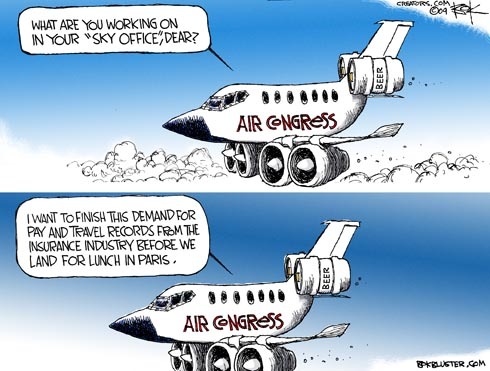 Tax breaks for corporate jets were included in the $800 billion stimulus package, right around the time auto execs were being slammed for arriving for congressional hearings in corporate jets. You can read about it here, here, or here. Not only that, Bloomberg says it’s not even enough money to save student loans. 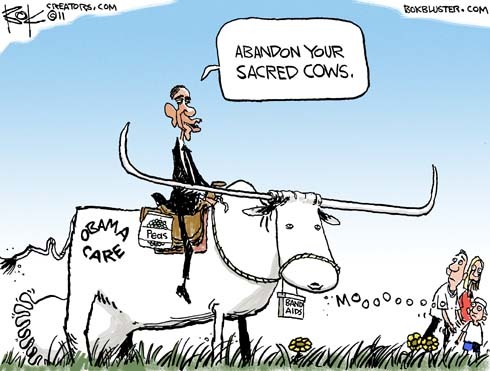 House Democrats have asked the health insurance industry for detailed financial records. An industry spokesman called it a fishing expedition. Here’s the story in the Chicago Tribune. And here’s a WSJ analysis of congressional travel habits.